4 weeks have gone by already, where did that month go? I had a confession to make at this months meeting (no not an Usher song an actual confession) I hadn't read the book : ( how very naughty of me. 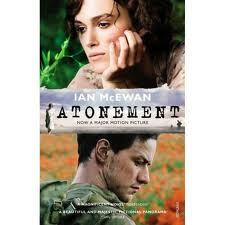 We were supposed to have read Atonement by Ian McEwan and I had started to read it, well the first 2 chapters, but I really struggled to get into it, then with one thing and another happening with my Grandad etc I just never got a chance to really get into it. Yesterday I sat down and watched the DVD, I thought at least then I would have some sort of an idea what it was all about. I loved the film, it really does make you feel grateful for what you have, it must have been awful living through the war. I also felt it gave a great lesson and just goes to prove how one lie really can change people's lives forever. Anyway by me watching the film it seemed to pull off, I understood what everyone was talking about, but I do sense that the book is a lot more in depth, but then they usually are aren't they. Have any of you read it yet? If so what did you think? Havent read Sister, but really enjoyed Atonement. Watched the DVD of Atonement this w/end, funnily enough. Very faithful to the book. Hi Gem, i 've just found out that you are my partner for bekis heart swap - how funny, i've just seen you live in Chelmsford - we are not far apart, i'm in Rayleigh. Chelmsford is my most visited town for shopping etc!! Just had a flick through your lovely blog - it is so funny seeing you mention places like Ticketty boo (my fave shop in Chelmsford), Hylands house and Battlesbridge - all places i go too. I love reading but I should read more often than I do. I love Adele Parks. 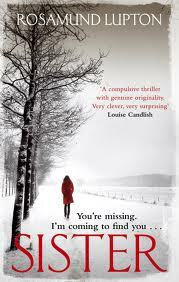 I'm reading 'Love Lies' at the moment! I think i've got the one your reading atm but haven't actually read it lol! Let me know if you enjoy it!